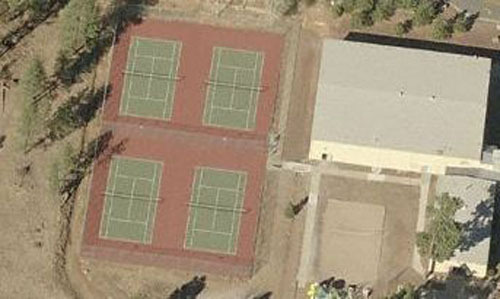 Flagstaff offers several public court facilities with a variety of court surfaces. Most court sites have 2-4 courts. 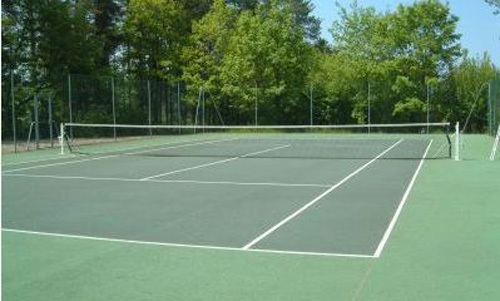 Bushmaster Park has two lighted hard courts open to the general public at no fee. Other park amenities include a sand volleyball court, two lighted basketball courts, two picnic ramadas (with outdoor grills), permanent restrooms, a skate park, four horseshoe courts, a children's playgrounds, and a dog park. Several beautiful trees provide a mix of shade and sun across large areas of grass...perfect for play and relaxation on a hot day. For more information on Bushmaster Park, visit the City of Flagstaff Website. 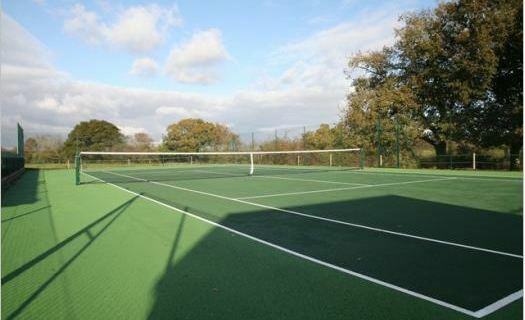 Cheshire Park has one non-lighted hard court open to the general public at no fee. Other amenities include a children's playground, two basketball courts, and a seasonal portable restroom. For more information on Cheshire Park, visit the City of Flagstaff Website. 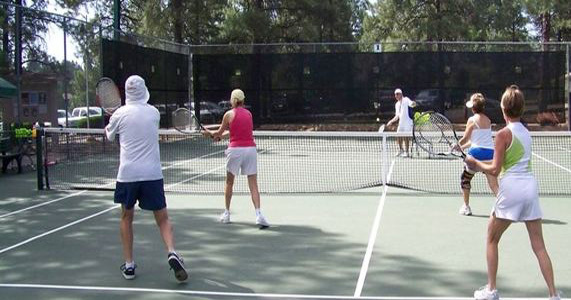 Continental Country Club (CCC) has two lighted hard courts, four non-lighted hard courts, and two omni-surface courts (the latter for pickleball) open to CCC Tennis Club members. Club membership is open to the general public at a nominal cost. Members do not pay hourly court fees unless they make reservations for seven or more days in advance. For more information on CCC, visit the Continental Country Club Website. 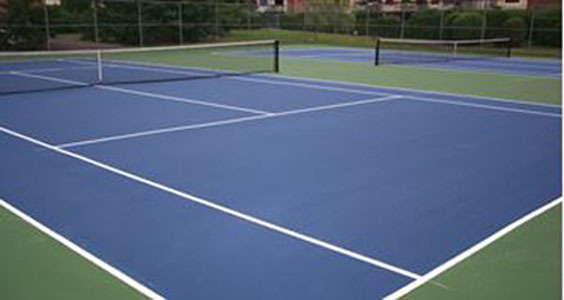 The Flagstaff Recreation Center (FRC) has four non-lighted hard courts open to the general public at no fee. Other amenities include a sand volleyball court, children's playground, special event programing, a weight room, instructional classes, drop-in recreational use, and much more. For more information on Flagstaff Recreation Centers, go to City of Flagstaff Website. McPherson Park has three non-lighted, omni-surface courts open to the general public at no fee. Other park amenities include a playground, a basketball court, two horseshoe courts, a disc golf course, and portable restrooms. For more information on McPherson Park, visit the City of Flagstaff Website. 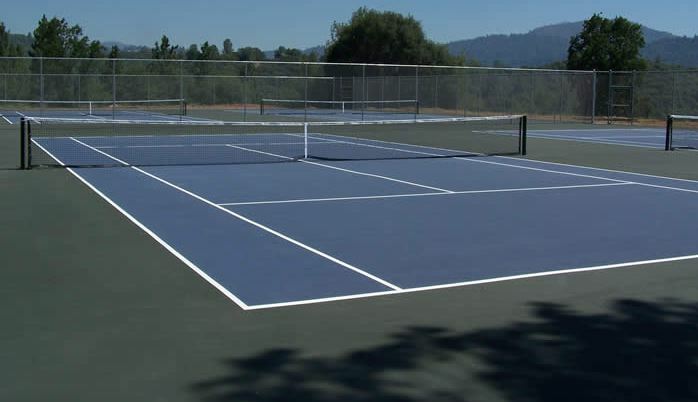 Ponderosa Park has one non-lighted hard court open to the general public at no fee. Other amenities include a children's playground, a sand volleyball court, two basketball courts, a horseshoe court, a picnic ramada, two basketball courts, and a portable restroom. For more information on Ponderosa Park, visit the City of Flagstaff Website. 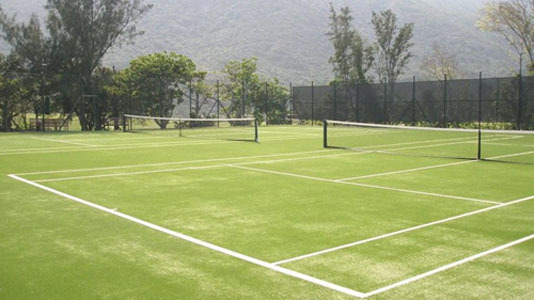 Thorpe Park has four lighted hard courts at the park and two additional, non-lighted hard courts a few blocks away, all of which are open to the general public at no fee. The park is home to the Thorpe Park Community and Senior Center and boosts a children's playgrounds, a sand volleyball court, a basketball court, two soccer fields, three youth baseball fields, four lighted adult softball fields, one picnic ramada, two racquetball courts, two horseshoe courts, a disc golf course, a dog park, and portable and permanent restrooms. For more information on Thrope Park, visit the City of Flagstaff Website. Flagstaff also has non-public court sites that are typically only availble via invitation and/or specific events (e.g., tournaments open to the public).